COMMUNICATION | Synconics Technologies Pvt. Ltd.
News feed: Get instant access to the latest discussed topics in your company and keep track of the conversations you follow. 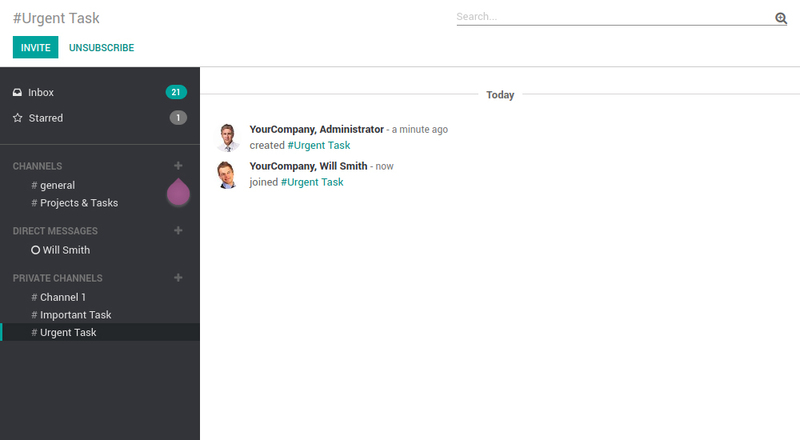 Start discussions: Create direct discussions with other employees, and create private discussion groups. Subscribe to channels: Create open groups called Channels to follow discussions on specific topics. Start getting involved in projects by subscribing to existing channels or create new channels. Star favorites: Star messages with important content to easily find them back in the Starred list. Private Groups: Create secret groups and invite the users. 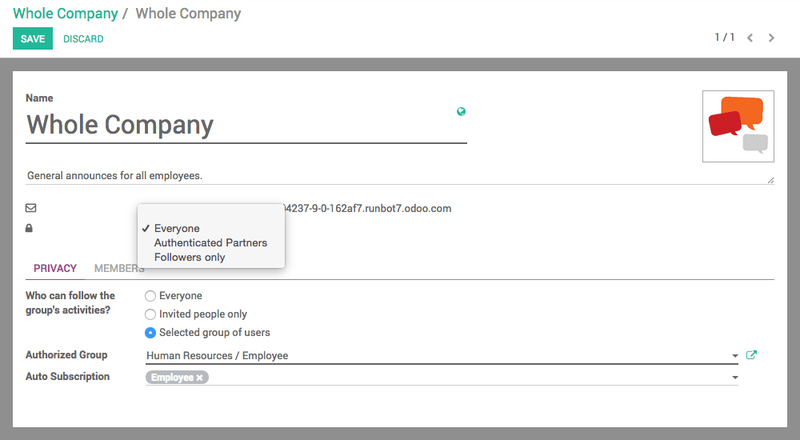 Manage participants: Invite participants in private groups and restrict access to channels to a selected group of employee. 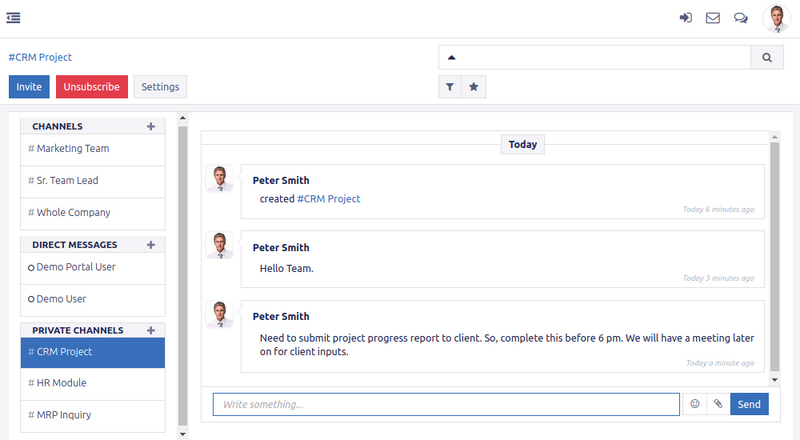 Chat window: Turn a conversation into a chat session to keep chatting while switching modules. Email notifications: Setup conversations to get notifications for the conversations you want. Mention: Mention your company name users (@your_company_username) in the conversation to raise their attention. 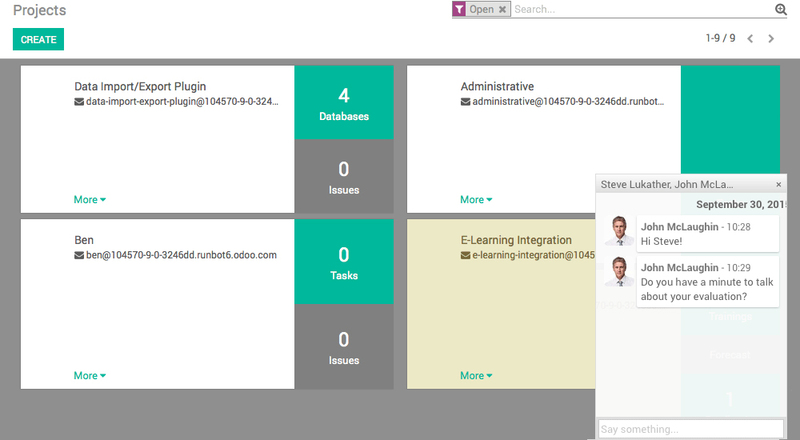 Create channels & private groups: Start discussion with public channels and allow any employee to join the conversation. Create private channels to invite only a selected group of people. Specific groups for specific projects: Do you have a new project involving several people from different departments and offices? Are there specific topics that need to be discussed with specific people? 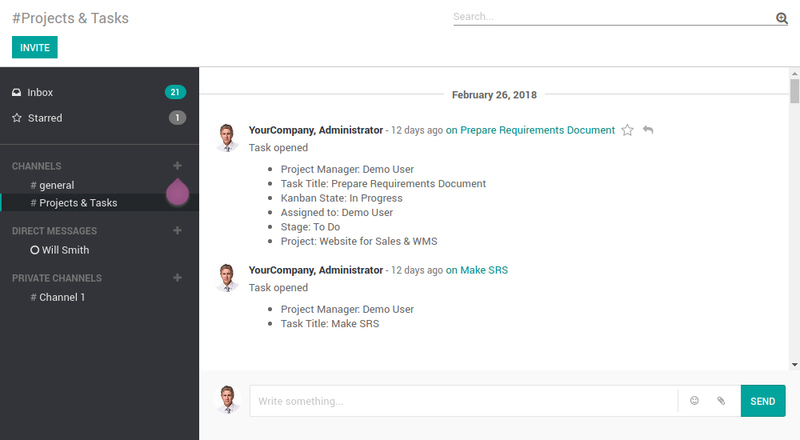 Create internal groups to structure communication and engage employees within different projects, and easily add and remove members from groups. Send Notification: Personalize the way notifications are sent to minimize mailbox pollution while making sure important messages get through. Specify who gets what message and when.